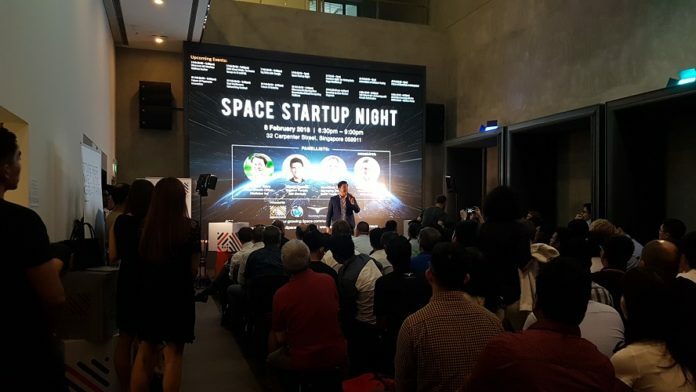 On 8 February 2018, SGInnovate, an agency backed by the Singapore government that nurtures and supports startups, organized a Space Startup Night. The event saw three presentations by NewSpace companies – launch vehicle developer Gilmour Space Technologies, laser communications provider Transcelestial Technologies, and satellite-powered data company Spire. Additionally, aspiring space entrepreneurs were treated to a panel discussion by investors, and were given the opportunity to ask the panelists investment-related questions. The panel discussion was moderated by SGInnovate’s Founding CEO Steve Leonard and included three participants: Atsushi Taira, Chief Growth Officer, Mistletoe Inc. (a Japan-based company that invested in Astroscale); Vishal Harnal, General Partner, 500 Startups (which invested in Gilmour and Trancelestial), and Jonathan Schiff, Managing Director, Schiff Family Office, which invests in early-stage technology companies in Singapore. A recurring theme throughout the discussion was the need for entrepreneurs to convince investors of their passion and commitment. Steve Leonard added that this passion should be directed towards solving a problem, and not towards the actual technology. He said, “It’s whether we sense that there isn’t anything you care more about than solving that problem. Are you in love with the problem you’re trying to solve? 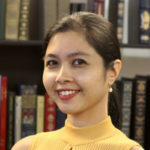 Which is different from being in love with the tech, because we see a lot of people that are in love with the tech and they don’t understand that there are other ways of solving the problem, or that other people are solving it”. Another point the panelists emphasized on was the necessity of having a financial basis for the company, although being aspirational is important in getting investors excited. Said Vishal Harnal, “Professionally, I’m responsible for the capital that’s entrusted to me to invest. Professionally, I’ll be able to justify it if there’s a [financial component]. While a company might be clearly aspirational, there must a financial component, so [you know] no one’s doing this for the sake of doing this”. Panelists suggested that startups seeking investment should approach investors who are already familiar with space, so as to reduce the time needed to convince the latter to invest. They also advised startups against seeking investment only when there is an urgent need, and instead come up with a long-term plan to give time for the investment process. Answering a question on the lack of availability of government and institutional grants for the space sector in the region, panelists suggested startups focus on the components of the space industry, rather than the industry per se. Said Leonard, “Sometimes you make the mistake of thinking, ‘If only someone would support industries’ and we don’t think of it as the individual components…..so we might need to decompose it a little bit and attack from that particular vantage point”. He cited the example of the Singapore government, and concluded by saying: “Additive manufacturing, 3D printing is something important to the Economic Development Board (EDB). Something that includes additive manufacturing as a process, and there’s going to be some attention [given to that]. So if we don’t just think about rocket motors, but say ‘Let’s think about additive manufacturing which leads to an outcome which may manifest as a rocket motor’, then you’ve got the EDB’s attention”.